The Game Developers Conference (GDC) is a yearly gathering where the videogame industry get together to show off new products and projects, as well as network and hold learning seminars. Various keynotes, awards shows, festivals, tutorials and lectures also take place. Crucially though, GDC has become one of the premier spots in the yearly calendar to reveal new hardware and software, with big players like Ubisoft, Sony, AMD and Valve making major announcements. This year there is a major focus on VR too, with a dedicated Virtual Reality Summit. While the Game Developers Conference may sound dull as dishwater, it is actually an insanely important event on the gaming and tech calendar, with the show now boasting a long history of major announcements and product reveals. And, on the show's 30th anniversary, 2016 does not promise to buck that trend either, with Sony, Microsoft, HTC, Oculus, Valve, Intel, AMD, Nvidia and many more all set to announce and/or demonstrate some of the year's hottest tech and games. T3 will be bringing you all the tasty scoops from the show this week (GDC runs from 14-18th Feb), so keep your eyes glued to the site, however here is what we ideally, in a perfect world, would like to see this year. It's all about VR this year and, coming off the HTC Vive, Oculus and Microsoft HoloLens reveals over the recent weeks and months, everyone is now looking at Sony. Why? 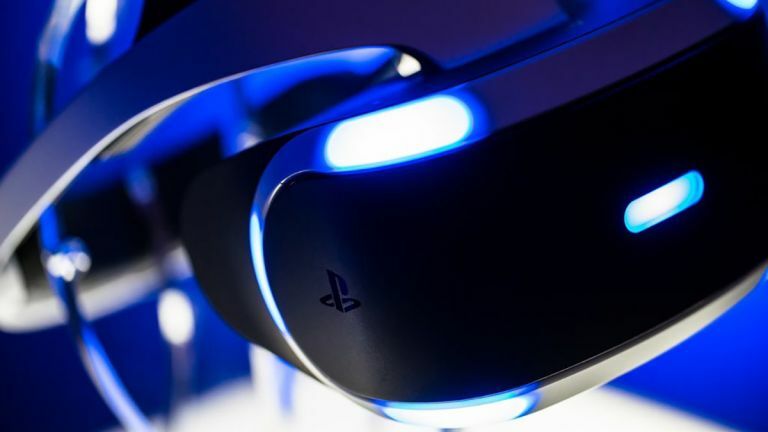 Well PlayStation VR that's why, which according to numerous tech commentators - including The Gadget Show's own Jason Bradbury in an interview with T3 - could be the breakthrough VR system, partnering top hardware with a slick, game-stuffed software environment. And, if you were to ask us here at T3 if they're right, we'd have to agree. Sony has got its own PlayStation VR event at GDC, which is set to deliver a live stage show followed by literally hours of hands-on demonstrations with a near-final product. That sounds like the company is very confident in the technology it's built and, considering Sony's recent success in building software platforms - such as PlayStation Now - and general gaming credibility, it seems like they are about to come to play with a fully-stocked VR armoury. If Sony can come to GDC, deliver a technically impressive piece of hardware, a bunch of top VR demos, and - crucially - a fixed price and release date, then they'll instantly win the show. If they then top that off with a major gaming IP VR reveal that is set to launch side-by-side with the system itself, something like Final Fantasy or God of War, then that's probably the year securely lodged in the company's back pocket. The absolute first thing Microsoft has to achieve at GDC 2016 is to convince people that its HoloLens is worth the ridiculous $3000 it wants right now for the developer kits. That figure is a massive turn off, even for developers, so Microsoft really need to come to the crease and score well at GDC. Ideally the company turns up with a rock-solid product hardware-wise and some obviously exciting holographic/AR computing demonstrations. As, right now, HoloLens remains a bunch of very glossy, CG-tastic, press shots. Read more: Fitbit Blaze review: does the Blaze set our world alight? Away from HoloLens we'd also like to see some genuinely exciting news regarding DirectX 12, which last year Microsoft promised would help them revolutionise gaming. A year later the Xbox One lags behind the PS4 markedly in console sales, while gaming on Windows remains only partially unified in terms of vision and practice. DirectX 12 can help the company solve both of these issues but, in order to be truly sold, we need to actually see the APIs being adopted on a broad scale by game developers and, even more important, what they can do for today's hottest titles. Ideally, Microsoft turns up with a bunch of DirectX 12-enhanced games and applications, highlighting the company's commitment to gaming and winning back a good portion of mind-share in terms of where the future of gaming, both on console and PC, truly lies. If it does this then Sony's procession to claim the Winner of GDC award with PlayStation VR might not be so simple. Finally in Microsoft's corner for GDC is Windows 10, which somehow - although no doubt largely helped by going free as an upgrade - finds itself pretty hot right now. It was one of the winners from Mobile World Congress 2016, with top new devices like the Huawei MateBook showing off the OS well, so if Microsoft can follow up with more developments and reveals, it can really help cement Windows 10 as the best OS on the market. With more than 40 sessions on VR over the first two days of GDC as part of the Virtual Reality Developers Conference, we're also expecting a titanic tussle between the two VR front-runners right now, the HTC Vive and Oculus Rift. After months and months of gentle sparring, with the rival VR headsets circling each other in terms of specs and ecosystem, now that the potential PlayStation VR juggernaut is about to drop, we're expecting the proper fighting to begin. As such, we're expecting some serious demonstrations from both at GDC 2016 - especially Oculus, whoseshow this is very much to lose. Oculus really helped kickstart this current wave of VR tech and has had one of the biggest profiles over the past four years, however doubts remain over its ability to capture the mainstream audience. To really knock it out of the park at GDC, we want to see Palmer Lucky and co to show the general public just how easy to use, accessible and mind-blowing the Oculus Rift is. As right now the cost of getting the system running as intended - remember you need to be hooked up to a PC for the full experience - and non-unified ecosystem leave questions that need to be answered before the system can embed itself in the mainstream consciousness.